CTAC Launches Campaign to End Hepatitis C in Canada. 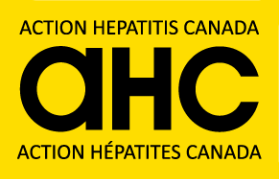 The Canadian Treatment Action Council (CTAC) has published a white paper entitled, “The time has come to eliminate hepatitis C in Canada,” which summarizes the increasing gaps in Canada’s response to the hepatitis C epidemic and identifies seven calls-to-action. #EASLmono: Expanding the conversation on hepatitis elimination. The recent European Association for the Study of the Liver (EASL) monothematic conference in Berlin was entitled “Striving towards the elimination of HCV infection”, a key topic in the field of liver disease and hepatitis since the publication of the WHO goals to eliminate viral hepatitis as a public health threat by the year 2030. HCV in Older Adults: Effects of Prolonged Infection, Aging-Related Mechanisms, and Treatment. Although the rate of new HCV infections has decreased in recent decades because of improved blood screening measures and other efforts, the number of HCV-infected older adults with long-term infection has increased. HCV hospitalizations increasing among baby boomers, men, drug users. As the baby boomers are aging, hepatitis C is truly affecting them. They had hepatitis C before, but now they’re in this middle age group where you’re seeing them hospitalized. Attention Hepatitis B (HBV) Patients & Caregivers – Your Help Requested. Do you have HEPATITIS B or are you a CAREGIVER for someone with HBV? This is really important for you! An improved hepatitis B treatment will likely be covered by BC (Canada) PharmaCare soon, but first the BC government has requested HepCBC to submit a patient group review explaining whether hepatitis B patients want this new treatment, and why. HepCBC needs to hear your voice. 7 recent reports on HBV treatment approvals, efficacy. The following reports provide recent findings on tenofovir treatment advocacy, premarket approval of an HBV assay, and the recent availability of the Heplisav-B vaccine in the U.S.